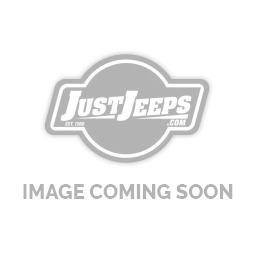 Just Jeeps Jeep Grand Cherokee WK | Jeep Parts Store in Toronto, Canada. The WK Grand Cherokee debuted in 2004 for the 2005 model year at the 2004 New York International Auto Show with available Quadra-Drive II four-wheel drive, rear-seat DVD player and optional 5.7 L Hemi V8. The 3.7 L V6 engine replaced the 4.0 L Straight-6. A Mercedes Benz sourced 3.0 V6 Common Rail Diesel (CRD) was available outside of North America from launch. Jeep replaced the XJ-era live-axle with leading-arms front suspension (found in the ZJ and WJ) with an independent double-wishbone setup like that which debuted in the 2002 Liberty. Classed as a truck-based SUV, the WH/WK Grand Cherokee offers "crossover" refinement, capability and NVH. The 2007 Jeep Grand Cherokee made its European debut at the Euro Camp Jeep in Ardèche, France. This Jeep has gained 5 stars in the Euro Ncap crash safety tests conducted in 2005. The Grand Cherokee received a minor facelift for 2008 with revised headlights and High Intensity Discharge (HID) Headlamps with auto leveling. The lower portion of the front bumper was still removable as it was from launch to increase the approach angle for off-road use. The 4.7 L was refined, now producing 305 hp (227 kW; 309 PS), and 334 lb⋅ft (453 N⋅m). The 2009 Jeep Grand Cherokee is available with an improved 5.7 L Hemi engine rated at 357 hp (266 kW; 362 PS) and 389 lb⋅ft (527 N⋅m) of torque. The engine uses variable valve timing to increase fuel economy.